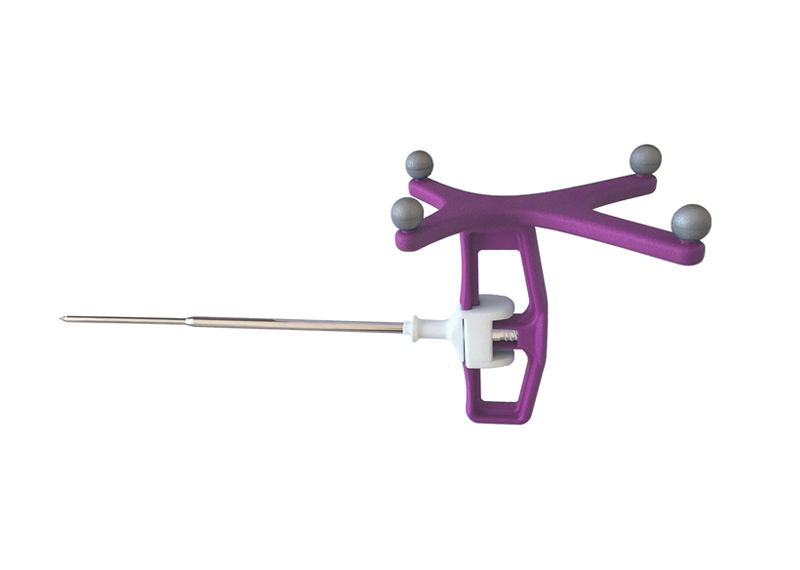 Our navigated pedicle access kit has been specially developed for use with Medtronic® navigation systems. It allows precise positioning of pedicle screws. To ensure maximum protection of patients from infections, the pedicle access kit is a disposable instrument. Medtronic® navigation system registered trademark of Medtronic Inc.